The Model H Manure Spreader was in production from 1939 to 1951. The style pictured here is circa post WW II 1945. The beautifully restored example is painted in the standard JD green paint with yellow accents. The steel spoke wheels with rubber tires power the conveyor and dispensing mechanisms. This model is configured to be trailered behind the tractor via a simple hitch setup. Manure spreaders were an indispensable part of farming in the days before chemical fertilizers. They efficiently fertilized fields helping to ensure high productivity. 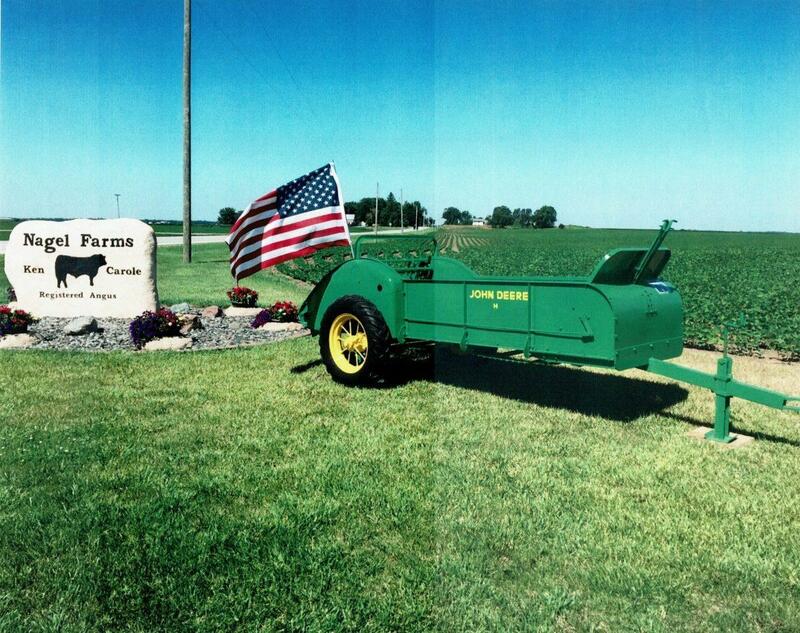 Deere began selling manure spreaders in 1910 with the acquisition of Kemp & Burpee Co.